April 2, 2016 marks the fifth anniversary of Six Senses Laamu in the Maldives. During the past five years, the resort has been creating amazing experiences for guests who embrace the resort’s ethos and appreciate the unique attractions and dedicated service offered. The large number of guests who return to the resort year after year, with some returning to the resort for their fifth visit later this month, evidences this. Some of the highlights of the resort’s history include the visit of Umberto Pelizzari, world famous Italian free diver, in January 2012; a partnership with the Manta Trust signed in December 2013; the change of ownership in January 2014; the visit of three-Michelin-stared chef Rasmus Kofoed in March 2014; significant enhancements to the offering and services in the fall of 2014, which included the construction of a main pool; and a partnership with the Turtle Watch program in November 2015. Celebrations include executive chef Martin hosting a special five-course dinner at LEAF on April 2 and his launching of a new and enticing ice cream flavor that will be featured in the ice cream parlor. 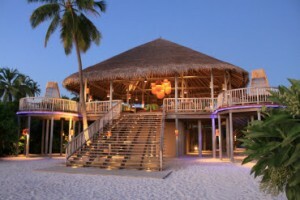 All guests will be invited to join cocktails on the beach, with the sounds of the in-house Bodu Beru band. And of course there will be cake! The resort looks forward to welcoming returning guests and first-timers to the festivities throughout April. There are many other exciting events planned for the anniversary year, which include the return of Rasmus Kofoed for four exclusive dinners at LEAF, a visit by another Michelin-starred Chef, Jesper Koch, in July and of Samantha Gowing, one of Australia’s most famous spa chefs, in May. These visits will start an extensive list of some of Six Senses most renowned visiting practitioners at the Six Senses Spa plus an exciting list of DJ’s in the very popular rotating residency DJ program. Visit the website at www.sixsenses.com to learn more about the experiences and enticing offers at Six Senses Laamu to stay up to date with latest news, events and visiting experts; follow the resort on social media or email the resort at reservations-laamu@sixsenses.com.